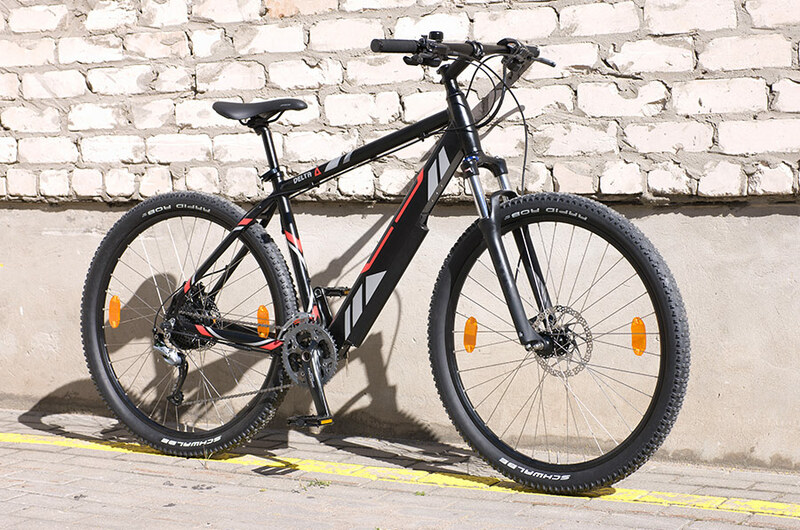 The Delta is a great looking and highly spec’d hardtail MTB style electric bike. 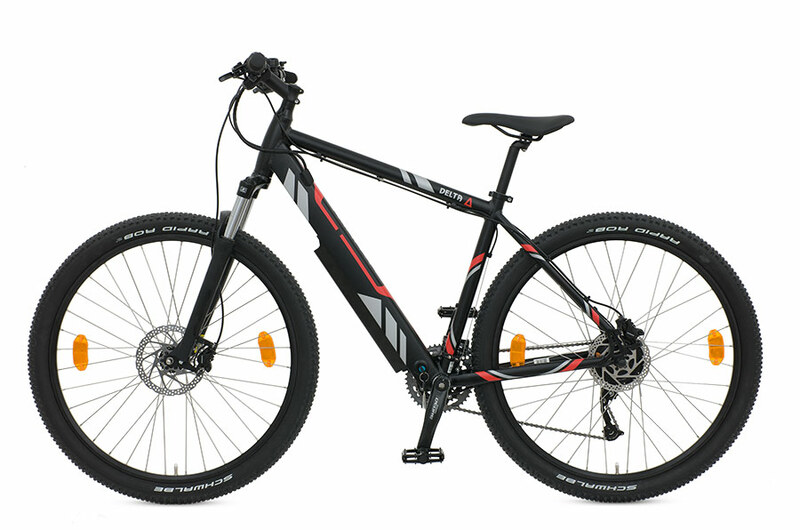 The matt black frame and original graphics make for an outstanding finish. 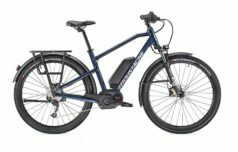 The removable 375 Wh (10.4 Ah) battery (460Wh option) is conveniently fitted in the frame to keep the centre of gravity down and give clean uncluttered lines. 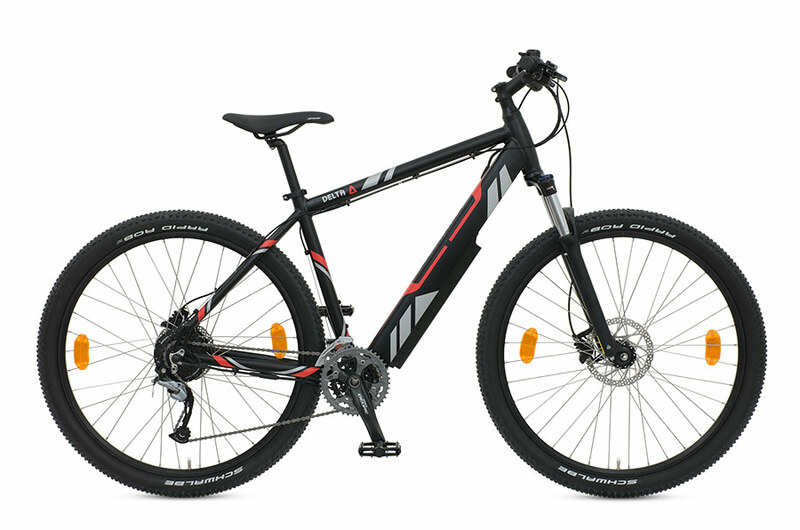 Manufactured in Europe with high quality component parts the Delta features Shimano hydraulic disc brakes, Shimano Acera 27 speed gears, Suntour suspension forks with hydraulic lock out and the popular Schwalbe Rapid Rob 29″ tyres with Kevlar guard. 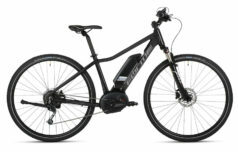 Range Up to 62 miles, with long range battery. 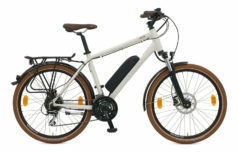 Up to 50 miles with Standard battery. 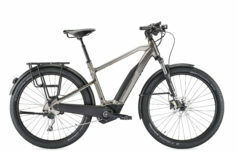 The Delta is a natural looking easy to ride e-bike that will fire your spirit of adventure and keep you wanting to get out there enjoying the outdoors. 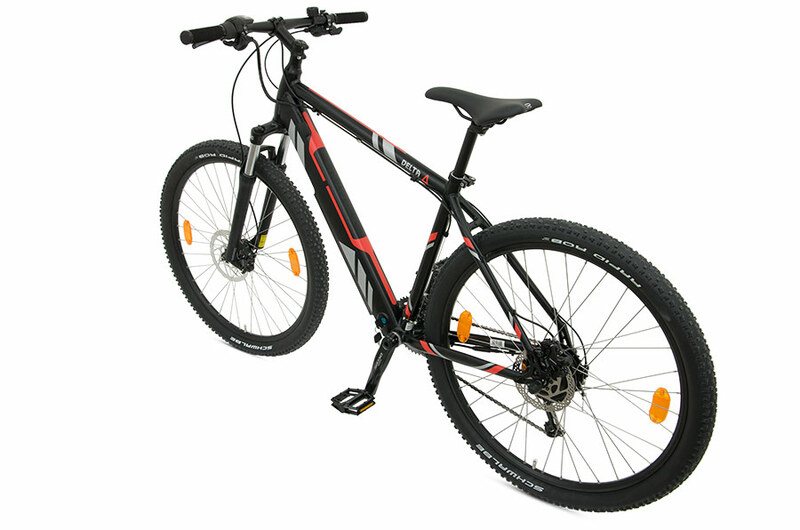 The urban camouflage graphics and unashamed symbolism of the Delta name make this the “must have” bike for those looking for quality and style with a conventional bicycle look. 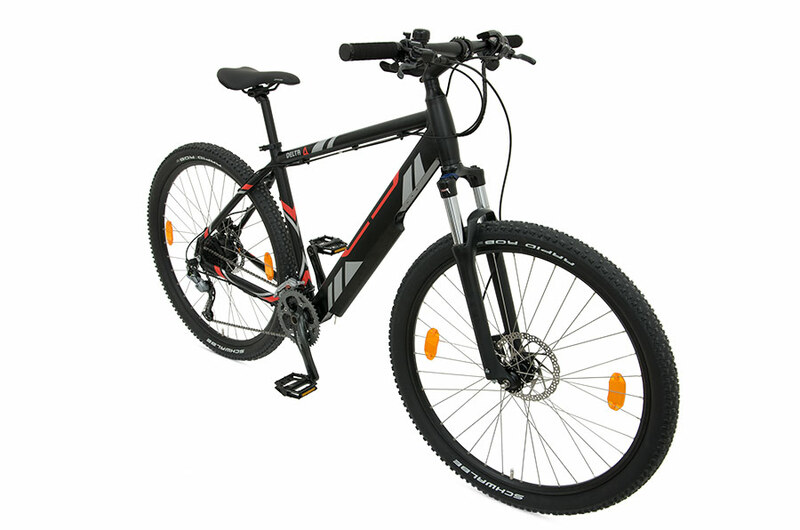 "We have sold bikes from Batribike for many years and are very happy with the support and service from this UK family company."